For family friendly holidays in the Algarve sunshine, don't miss Clube Alvorferias in Alvor. This great value complex is tucked away in a quiet spot on the outskirts of the resort and is packed to the brim with facilities for all ages. The sunny pool area is the real crowdpleaser here. The two swimming pools are lined with sunbed filled terraces along the water's edge. Choose your spot in the sunshine and work on your tan or relax with a good book under the shade of a palm tree. The children have a pair of pools to splash around in too. If you fancy a day on the beach, just take a ride on the shuttle bus down to the sands. On top of all this, you'll uncover tennis, football, snooker and table tennis onsite. The children get a look in too, with a play area and funpacked kid's club. The apartments themselves are situated in low level buildings. They each come equipped with modern bathrooms and fully fitted kitchen areas to rustle up a snack or two. Your own private balcony or terrace is the perfect spot to relax and enjoy the view. The supermarket meets all your daily needs, including freshly baked bread each morning. If cooking isn't on your holiday agenda, the onsite eateries take care of all your dining needs. Start the day with breakfast in the coffee shop, enjoy light bites poolside during the daytime and then dine on freshly cooked buffet style dishes in the evening. When the sun goes down, the barman will mix your favourite cocktail in the bar. The line up of evening entertainment includes everything from karaoke and quizzes to live music and shows. Discover why the Clube Alvorferias is a popular place to stay for Portugal holidays. 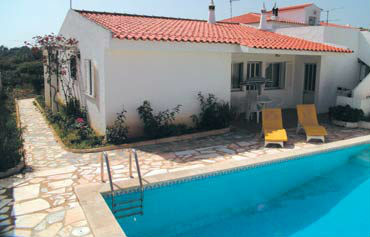 The Clube Alvorferias has all the facilities you would expect from family holidays in the Algarve. 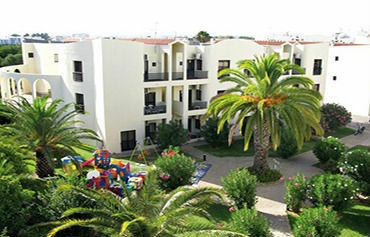 Highlights include: Two large outdoor swimming pools with sun terraces and sunbeds, two children's pools, coffee shop, restaurant, bar with evening entertainment, supermarket, gift shop, children's play area, kid's club, games room with snooker table and other games, poolside snooker table, internet lounge, selfservice laundry, 24 hour reception and minibus to beach. The daytime animation programme brings fun for adults and children, from pool games, quizzes and football to tennis, table tennis and darts. There are also three golf courses within 15kms of the complex. The complex has a total of 220 modern guest units, consisting of one, two and three bedroom apartments and studios. All apartments feature air conditioning in the lounge, satellite TV, telephone, safety deposit box to hire, fully equipped kitchen with oven and microwave. The restaurant starts the day as a coffee shop and snack bar with breakfasts available; then transforms into a buffet style restaurant in the evening. The bar area serves a full menu of drinks and cocktails and plays host to the evening entertainment with karaoke, live music, shows, quizzes, bingo and more. 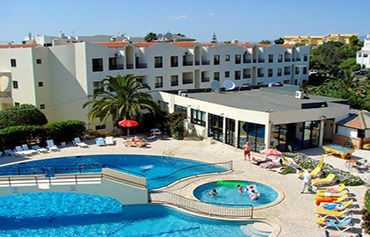 The Clube Alvorferias is located in Alvor on the Algarve, 900m from the beach and 800m from the resort centre. 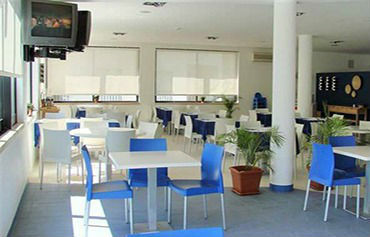 Faro Airport is approximately 76kms from Alvor. Although the rooms were a little dated it was great value for money. We were not advised that the hotel ws closed for the next 3 weeks till season started. So no transport to beach, no shop, no bar, no facilities apart from reception open during office hours. we also had no gas connection for cooker or acess to pool. The whole point of the holiday as I was revovering from a badly sprained ankle and wanted to maximise swimming and minimise walking on slopes. We needed to contact Sean at Hays and he got them to open pool and send engineer to sort out gas connection/ air block.. However it was not cleaned till the day before we left.